The 7,500 athletes competing at the Special Olympic World Games, hosted this year by Abu Dhabi, are showing the world the meaning of determination – as they play in more than 20 Olympic sports, against all odds. 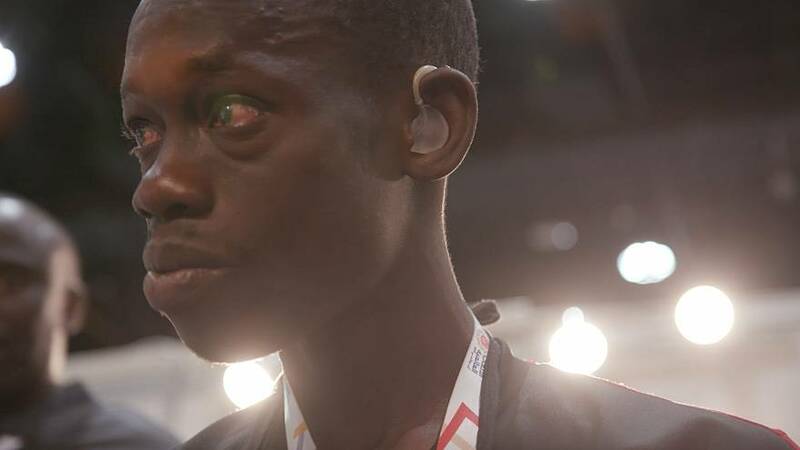 The halls of the Abu Dhabi National Exhibition Centre are filled with stories of courage and perseverance, but one in particular has produced tears of joy: that of a 31-year-old Senegalese footballer, Mame Mdiaye, who got to hear for the very first time, thanks to the Olympics’ Healthy Athletes initiative. Starkey Hearing Technologies, an organisation committed to making healthy hearing more inclusive for the intellectually disabled, provided hearing aids to all the athletes competing at the Games who needed them. Among Special Olympics athletes in Africa, 4 per cent have permanent hearing loss, and 21 per cent failed a hearing test, according to the organisation’s statistics. Through the standard health screenings provided by the Healthy Athletes programme, Mdiaye discovered he would be eligible for a hearing aid that could allow him to hear for the first time in his life. Watch Senegalese footballer Mame Mdiaye hear for the first time in the video above. As his teammates began to cry watching the athlete begin to hear for the first time, Mdiaye, not knowing what to expect, waited for the fitting of the device to be over before showing any emotion. His coach said that Mdiaye, already a very determined player, will now be able to perform at "200 per cent," as he will be able to “listen to his mates”. By the time this article was published more than 228 athletes from 59 countries had benefited from the Healthy Hearing programme at Abu Dhabi Special Olympics.